Big League Politics, a fringe blog founded  by former Daily Caller writer Patrick Howley , cited  an “inside source” to claim that McCabe was the “ringleader” behind a collaboration “against” Trump by McCabe, former FBI Director James Comey, and Russia probe special counsel Robert Mueller. According to Howley, the source also called the three men “creatures of the swamp.” The blog also employs  “alt-right” figure  Cassandra Fairbanks, and it previously helped revive a fringe smear  that Comey was biased in his investigation into former Secretary of State Hillary Clinton’s email server due to his brother’s supposed connections to the Clintons. The McCabe article has drawn slightly more than 100 Facebook engagements so far, according to social media analytics website BuzzSumo. 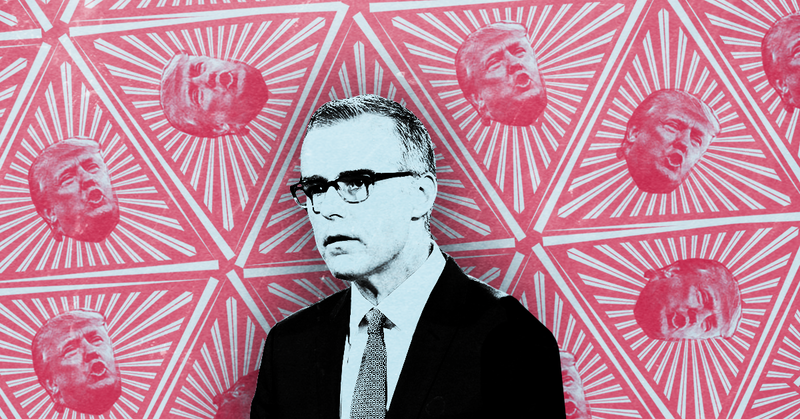 Soon after it was published, the report was picked up by “alt-right”-affiliated  blog The Gateway Pundit, which wrote  that the revelations showed that Mueller is “in bed” with McCabe and Comey, that the three are working to “undermine” Trump, and that McCabe is the “real treat” of this “swamp fiasco.” Though The Gateway Pundit regularly pushes false stories , Fox  News  and Trump  have  regularly cited its content, the White House has given its correspondent press credentials , and the site is currently trying  to get congressional press credentials. The Gateway Pundit’s McCabe article has received at least 6,200 Facebook engagements, according to BuzzSumo. Thanks to the Gateway Pundit article, fake news purveyors  then spread this dubious claim. Before It’s News  wrote that the report meant “FBI directors past and present apparently have it in for” Trump, and The Political Insider  said that it showed “the deep state is preparing for war.” Mad World News  and Washington Feed  wrote that McCabe was “execut[ing]” Comey’s “treacherous” “backup plan” and that Trump needs to “get rid of” these “deep state hacks.” Freedom Daily  called the report a “bombshell” that showed a “treasonous plot” that “shady” McCabe was “execut[ing]," and that Trump needed to “act quickly” to “get rid of” him. The Political Insider, Mad World News, and Freedom Daily articles have received at least 2,000, 1,600, and 5,500 Facebook engagements, respectively, according to BuzzSumo.